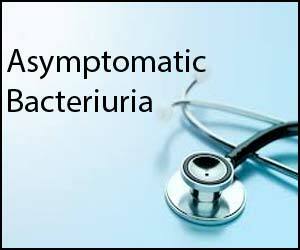 Infectious Diseases Society of America has released its latest 2019 update on Clinical Practice Guideline for the Management of Asymptomatic Bacteriuria. The current guideline updates the recommendations of the 2005 guideline, includes new recommendations for populations not previously addressed, and, where relevant, addresses the interpretation of non-localizing clinical symptoms in populations with a high prevalence of ASB. The latest guidelines have appeared in the Journal of Clinical Infectious Diseases. 1. Should Asymptomatic Bacteriuria Be Screened for and Treated in Pediatric Patients? In infants and children, we recommend against screening for or treating asymptomatic bacteriuria (ASB) (strong recommendation, low-quality evidence). 2. Should ASB Be Screened for or Treated in Healthy Nonpregnant Women? In healthy premenopausal, nonpregnant women or healthy postmenopausal women, we recommend against screening for or treating ASB (strong recommendation, moderate-quality evidence). 3. Should ASB Be Screened for and Treated in Pregnant Women? In pregnant women, we recommend screening for and treating ASB (strong recommendation, moderate-quality evidence). Remarks: A recent study in the Netherlands suggested that nontreatment of ASB may be an acceptable option for selected low-risk women. However, the committee felt that further evaluation in other populations was necessary to confirm the generalizability of this observation. We suggest a urine culture collected at 1 of the initial visits early in pregnancy. There is insufficient evidence to inform a recommendation for or against repeat screening during the pregnancy for a woman with an initial negative screening culture or following treatment of an initial episode of ASB. In pregnant women with ASB, we suggest 4–7 days of antimicrobial treatment rather than a shorter duration (weak recommendation, low-quality evidence). 4. Should ASB Be Screened for and Treated in Functionally Impaired Older Women or Men Residing in the Community, or in Older Residents of Long-term Care Facilities? In older, community-dwelling persons who are functionally impaired, we recommend against screening for or treating ASB (strong recommendation, low-quality evidence). In older persons resident in long-term care facilities, we recommend against screening for or treating ASB (strong recommendation, moderate-quality evidence). 5. In an Older, Functionally or Cognitively Impaired Patient, Which Nonlocalizing Symptoms Distinguish ASB From Symptomatic UTI? In older patients with functional and/or cognitive impairment with bacteriuria and delirium (acute mental status change, confusion) and without local genitourinary symptoms or other systemic signs of infection (eg, fever or hemodynamic instability), we recommend assessment for other causes and careful observation rather than antimicrobial treatment (strong recommendation, very low-quality evidence). In older patients with functional and/or cognitive impairment with bacteriuria and without local genitourinary symptoms or other systemic signs of infection (fever, hemodynamic instability) who experience a fall, we recommend assessment for other causes and careful observation rather than antimicrobial treatment of bacteriuria (strong recommendation, very low-quality evidence). Values and preferences: This recommendation places a high value on avoiding adverse outcomes of antimicrobial therapy such as Clostridioides difficileinfection, increased antimicrobial resistance, or adverse drug effects, in the absence of evidence that such treatment is beneficial for this vulnerable population. 6. Should Diabetic Patients Be Screened or Treated for ASB? In patients with diabetes, we recommend against screening for or treating ASB (strong recommendation, moderate-quality evidence). Remarks: The recommendation for nontreatment of men is inferred from observations in studies that have primarily enrolled women. 7. Should Patients Who Have Received a Kidney Transplant Be Screened or Treated for ASB? In renal transplant recipients who have had renal transplant surgery >1 month prior, we recommend against screening for or treating ASB (strong recommendation, high-quality evidence). 8. Should Patients Who Have Received a Solid Organ Transplant Other Than a Renal Transplant Be Screened or Treated for ASB? In patients with nonrenal solid organ transplant (SOT), we recommend against screening for or treating ASB (strong recommendation, moderate-quality evidence). Values and preferences: This recommendation places a high value on avoidance of antimicrobial use so as to limit the acquisition of antimicrobial-resistant organisms or Clostridioides difficile infection in SOT patients, who are at increased risk for these adverse outcomes. 9. Should Patients With Neutropenia Be Screened or Treated for ASB? In patients with high-risk neutropenia (absolute neutrophil count <100 cells/mm3, ≥7 days’ duration following chemotherapy), we make no recommendation for or against screening for or treatment of ASB (knowledge gap). 10. Should ASB Be Screened for or Treated in Individuals With Impaired Voiding Following Spinal Cord Injury? In patients with spinal cord injury (SCI), we recommend against screening for or treating ASB (strong recommendation, low-quality evidence). 11. Should Patients With an Indwelling Urethral Catheter Be Screened or Treated for ASB? In patients with a short-term indwelling urethral catheter (<30 days), we recommend against screening for or treating ASB (strong recommendation, low-quality evidence). In patients with indwelling catheters, we make no recommendation for or against screening for and treating ASB at the time of catheter removal (knowledge gap). In patients with long-term indwelling catheters, we recommend against screening for or treating ASB (strong recommendation, low-quality evidence). 12. Should Patients Undergoing Elective Nonurologic Surgery Be Screened and Treated for ASB? In patients undergoing elective nonurologic surgery, we recommend against screening for or treating ASB (strong recommendation, low-quality evidence). 13. Should Patients Undergoing Endourological Procedures Be Screened or Treated for ASB? In patients who will undergo endoscopic urologic procedures associated with mucosal trauma, we recommend screening for and treating ASB prior to surgery (strong recommendation, moderate-quality evidence). In patients who will undergo endoscopic urologic procedures, we suggest that a urine culture be obtained prior to the procedure and targeted antimicrobial therapy prescribed rather than empiric therapy (weak recommendation, very low-quality evidence). In patients with ASB who will undergo a urologic procedure, we suggest a short course (1 or 2 doses) rather than more prolonged antimicrobial therapy (weak recommendation, low-quality evidence). 14. Should Patients Undergoing Implantation of Urologic Devices or Living With Urologic Devices Be Screened for or Treated for ASB? In patients planning to undergo surgery for an artificial urinary sphincter or penile prosthesis implantation, we suggest not screening for or treating ASB (weak recommendation, very low-quality evidence). In patients living with implanted urologic devices, we suggest not screening for or treating ASB (weak recommendation, very low-quality evidence).